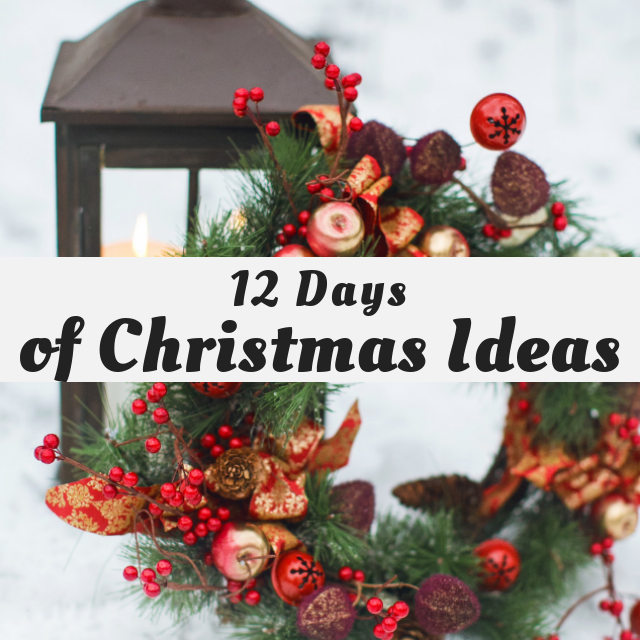 This is my second year of participating in the 12 Days of Christmas, with so many new bloggers joining in, I am sure it will be spectacular i hope you are as excited as I am. The idea for the white birch twig wreath came from all the different elements I am using in this years Christmas theme. The great part about doing a wreath with the same decor theme and twigs means it can be made with whatever you already have on hand. With a little bit of thought and a little bits of leftover craft supplies, I am hopeful you should be able to create one of your own. To make this wreath I took the smaller birch branches that are about 1″ in diameter. The length depends on how large you want your wreath to be. The ribbon is from decorating the Christmas tree, the greenery is from my stash, and the little Santa Stop Here sign is from Michaels, I got it for free at a BOGO sale at Michaels, when I purchased this similar reindeer sign for artwork. To make your own wreath I suggest shopping in your own stash for whatever elements you can use, the wreath isn’t a craft that requires anything specific other than the branches, that you can collect for free. Besides the branches and your embellishments, you will need hot glue, twine, and florist wire. Next, place your branches into a rectangle with the two long branches on the top. Working first at one corner hot glue the branches together and while the glue hardens, cut off about two feet of twine. Wrap the twine first around the bottom branch and then around the top branch. Doing it this way makes it snug, the tie a knot in the back and repeat. Once tied, check that the corner is snug and then glue the knots in place and cut off the excess. To make the knots strong, I made sure that my wraps went in the opposite directions. If I wrapped one end of the twine around the branch clockwise, the other went counterclockwise. It makes it easier to pull the knot snug. It really doesn’t matter how you tie the corners together as long as they are well attached when you’re done. When you have all four corners done, flip your wreath over so the knots show. Add extra glue where you can just make sure the glue doesn’t show on the front side of your wreath. When done let it cool, flip over and add the embellishments. Once done the basic wreath frame decorate the wreath like you would any wreath. I loved using the branches because the wreath ends up square instead of round. Better yet, you can make the wreath frame any size you want for free. Free is always good in my world. The faux greenery is put on sparsely so that the birch branches show. Take two long faux spruce branches and attach them from the middle of the right side of your wreath working across the top and then down the other side. Tie in place using twine or florist wire. Decide where you want to attach the ribbon and tie more greenery in the same corner as a backdrop with twine or florists wire. Add red berries wherever you want a bit of bright colour. Finally, I hung the Santa sign from the top branch using twine. The wreath was made for the front porch, but I love it on the fireplace and may leave it there. What do you think? I love a square wreath, and this one is amazing! I love the Santa sign. Pinning! Wreaths are something I don’t make often. But that little sign needed something and wreaths are great backgrounds. Thank you for commenting. What a cute wreath! Rustic is my favorite kind of Christmas decor! Thank you Cherryl. I like to use naturals for fall and Christmas decor, and it really helps to keep the cost under control. You sure are the master of using up what you already have and turning it into a masterpiece!! Love that your sweet wreath is not a traditional round shape too! Brilliant!! I love that you used what you had on hand. And I love that Santa Stop Here sign! Thank you, I know you have the same habit. Glad you like it, I would love to hear more about South Africas Christmas traditions. What a unique wreath! I love that it’s rectangular, made out of birch branches and the Santa sign just tops it all off. So cute! The wreath is so pretty and compliments your Christmas theme so nicely. I love the addition of the sign. It is a nice touch.